Breaking the Spam and Privacy Law? Posted on Sunday, September 30th, 2018. Mention ‘law’ and it puts most of on the back foot and in defence mode. We immediately ask: What have I done wrong? Well as marketers there are so many laws now that being defensive is understandable. It’s not like we want to break the law, we are after all law abiding citizens. Are you ready for the new Privacy Act? Data protection and privacy laws have been revised and strengthened in: Australia, Canada, the EU’s GDPR, Britain and Singapore and the wheels are turning on a new privacy act here in New Zealand. A year from now (1 July 2019) the new privacy bill (The Bill) is expected to replace the current New Zealand’s Privacy Act 1993 so what does this mean for our marketers and businesses sending out marketing emails to their email lists and collect data online? Posted on Monday, April 30th, 2018. The go-live date for GDPR is nearing and businesses large and small are furiously working on their opt-in campaigns so they’re compliant by 25 May 2018. Of course the GDPR (General Data Protection Regulation) is EU specific but there’s no doubting it’s far reach in the global business landscape. Posted on Tuesday, July 8th, 2014. 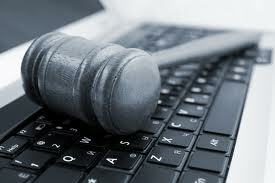 The Unsolicited Electronic Messages Act 2007 covers electronic messages, mobile txts and faxes. It has been managed by the DIA for nearly seven years now. Are you receiving txt spam? The answer is more than likely ‘yes’. Is a LinkedIn Connection Consent for Email Marketing? Mobilize Mail, is a local ESP (email service provider) and it is important we know the DIA’s interpretation of Unsolicited Electronic Messages Act 2007. We recently requested their insight on ‘consent’ via social network membership. It is five years since the Unsolicited Electronic Messages Act 2007 came into effect, so it is a good time to go over what it is all about. Spam is the generic term for the electronic commercial email, fax, and mobile or smart phone text (TXT) and image-based messages you receive without having requested them. Posted on Wednesday, June 27th, 2012. What is Spam? Spam is the generic term for the electronic commercial email, fax, and mobile phone text and image-based messages you may receive without requesting them. You will find that almost always these messages are of a commercial nature and invite you, the recipient, to buy a product or service. Posted on Thursday, May 26th, 2011. Our very own New Zealand Anti Spam Compliance Unit of the DIA (Department of Internal Affairs) are now on Twitter according to their latest press release. Their twitter profile is called AntiSpamInfoNZ and it has been created to share information as part of the DIA’s pubic education programme. The latest scams will be broadcasted on the twitter profile along with other useful information for compliance and spam avoidance. Posted on Friday, June 5th, 2009.